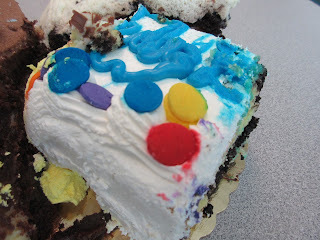 Today's offering for student cake month builds upon our guy's entry from a previous year. 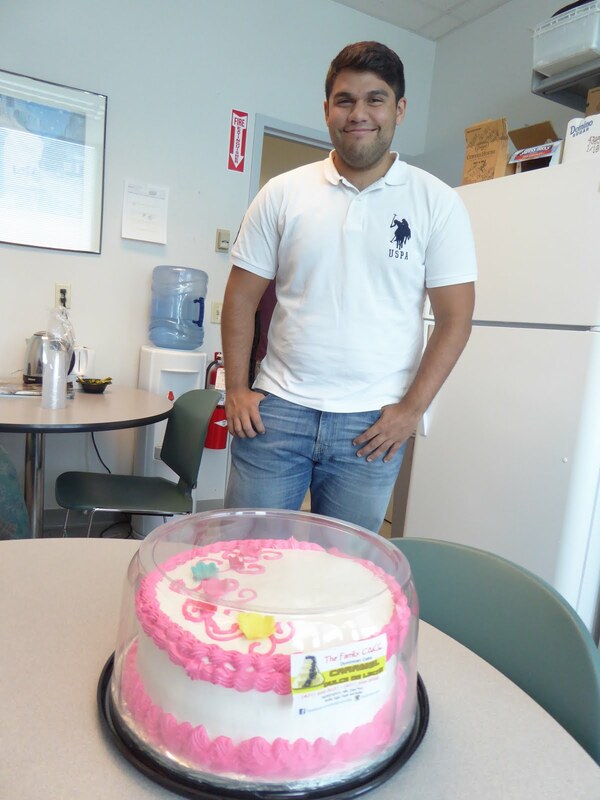 He chose to bring a special Dominican Cake that was quite colorful and decorative. It's Dominican Cake time again! Only basic natural ingredients to boot! 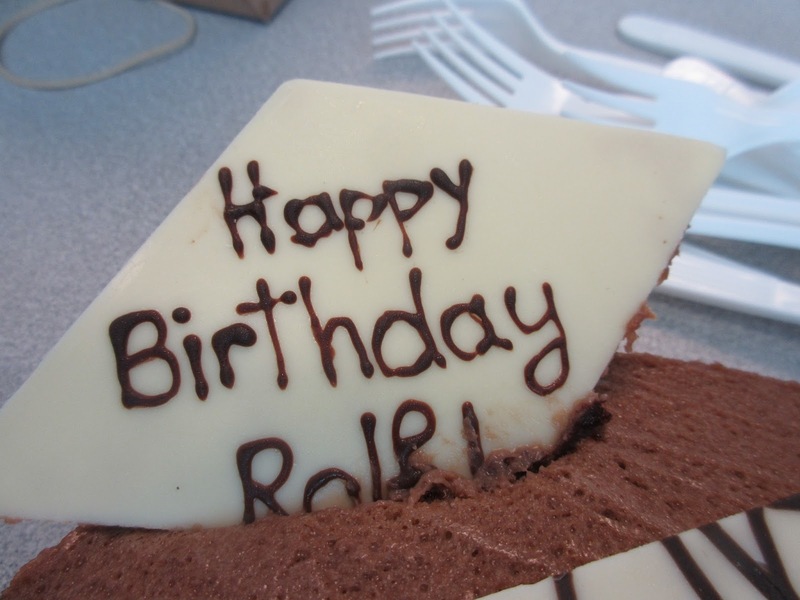 This time he went with the same category of cake but upped the size. 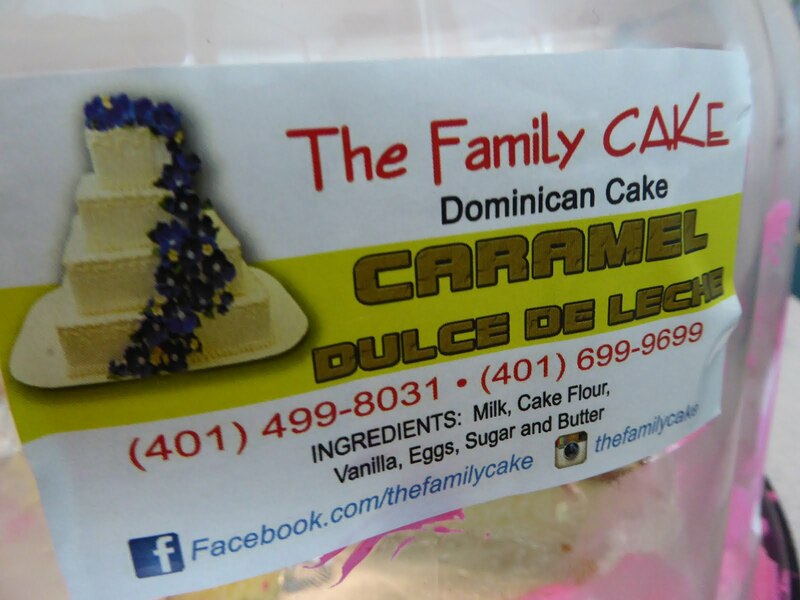 The label says it all " Family Cake Dominican Cake Dulce de Leche". It is quite colorful again with a tint towards magenta where the previous one was definitely cyan. 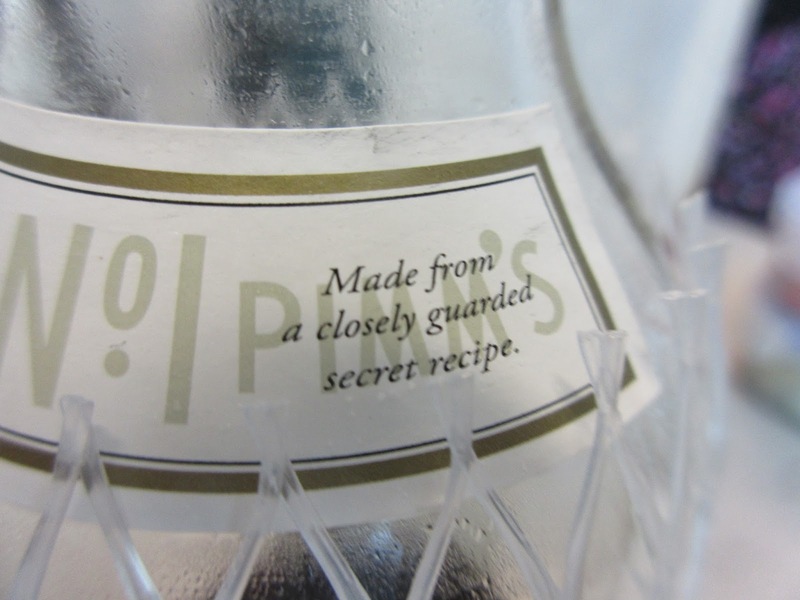 Although you might think this looks quite commercial notice also on the label that there are no artificial ingredients. And it's a good sized one too! Frilly little swirls in a very electric color! Simply decorative top ready for an inscription that didn't come! 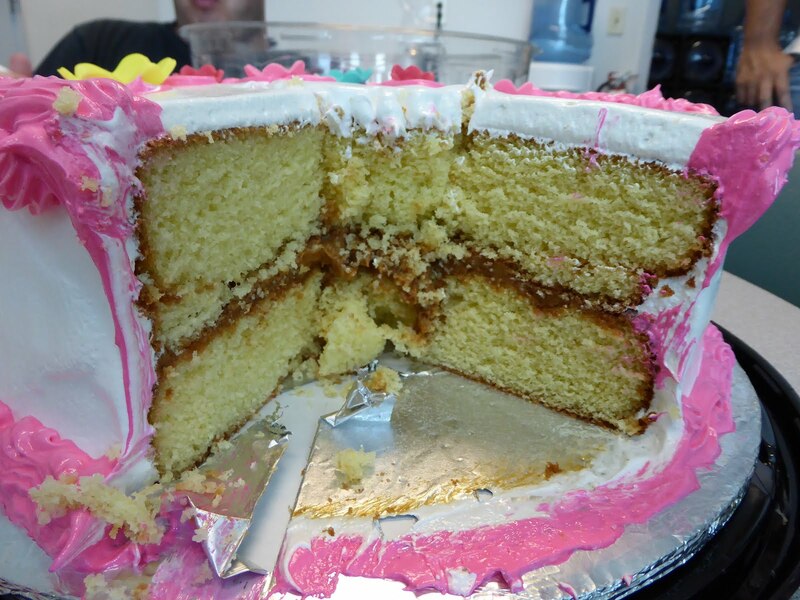 Dulce de Leche is caramel for those unschooled and so this turns out to be a yellow cake with a caramel filling. 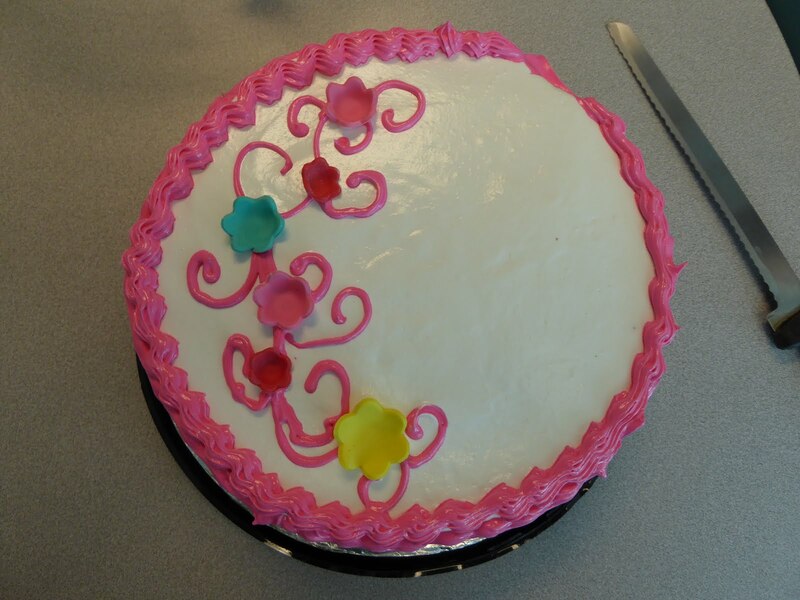 It is iced with a whipped shortening frosting and decorated with the magenta version thereof. The caramel is in between the layers hence Dulce de Lcche! The cake was actually quite good - these Dominican cakes are very moist - and not overly sweet though it looked like it would be. There was plenty left over and I suspect we will be finishing this off over the course of a few days. It's always nice to have someone around who can throw something together. One of our cake hour attendees has a good and quick recipe for Key Lime Pie. 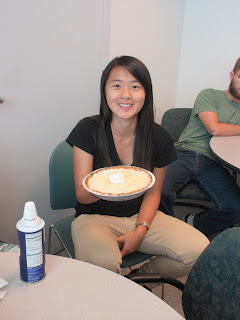 Since it is student cake month and she is only recently a graduate, she pitched in during student cake month and we got a pie! Oh, I just throw it together, you see! The little dollop of whipped cream is hardly enough! 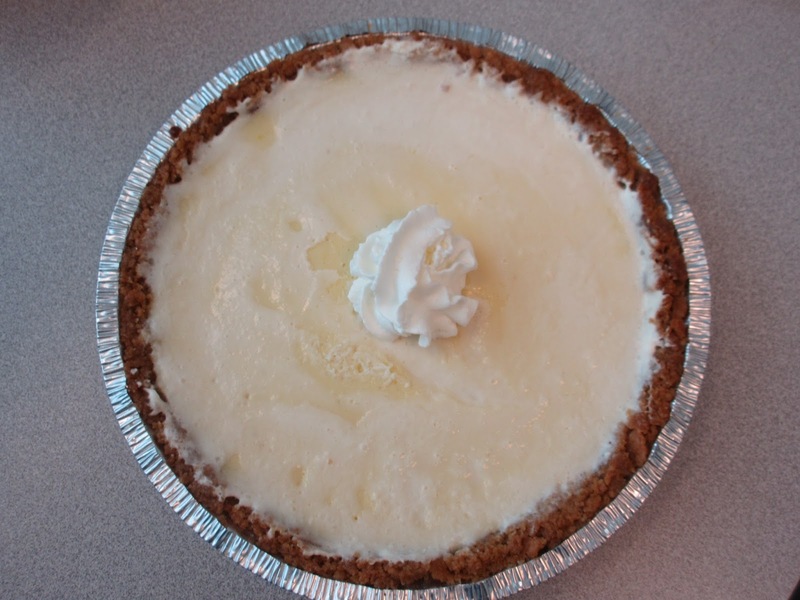 An easy key lime pie recipe is, as you can infer, not complicated. A graham cracker crust, condensed milk, lime, egg yolks a little baking, a little chilling and you are done! 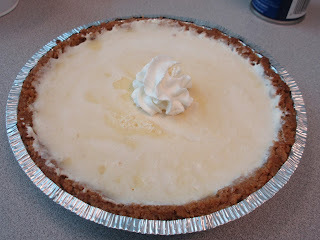 There are also some that are just lime juice mixed with whipped cream but we prefer the former. 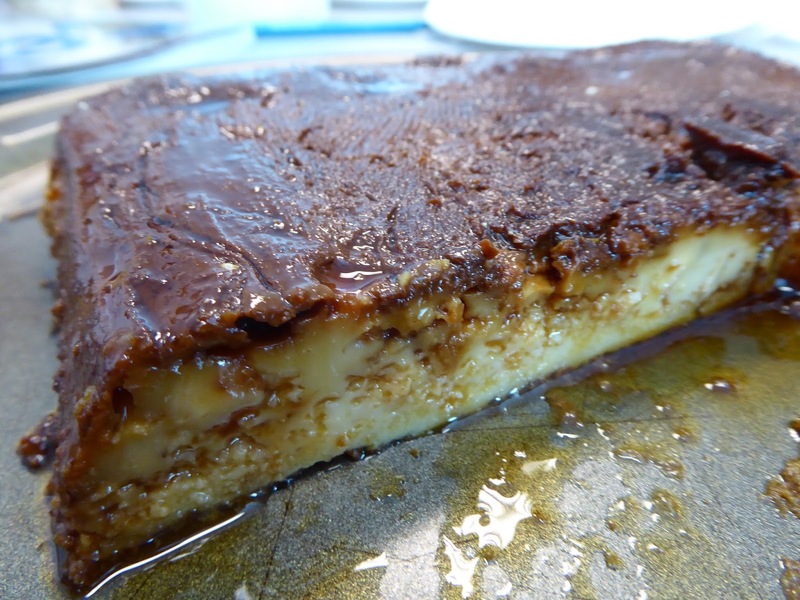 It tastes good, is relatively light and is an all around great summer treat. 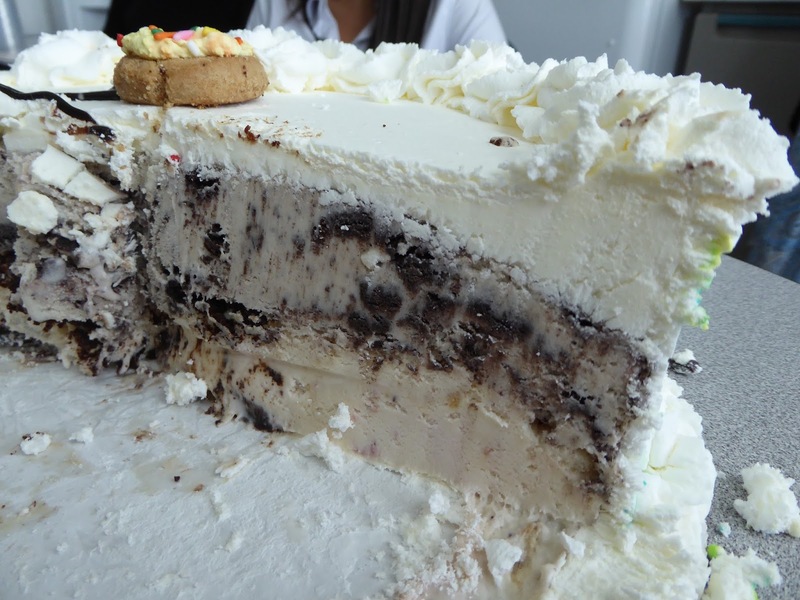 If you ever feel like throwing one together we're always here to try it! It won't last long! Doesn't take long for it to disappear! 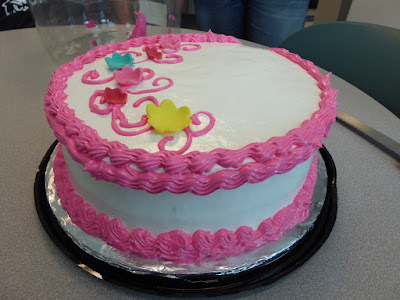 Another student cake and this one was also commercially produced - no baking from scratch. In case you don't know it the title of the post is what you find on the exterior of a Ben and Jerry's Ice Cream cake - euphoria to go. 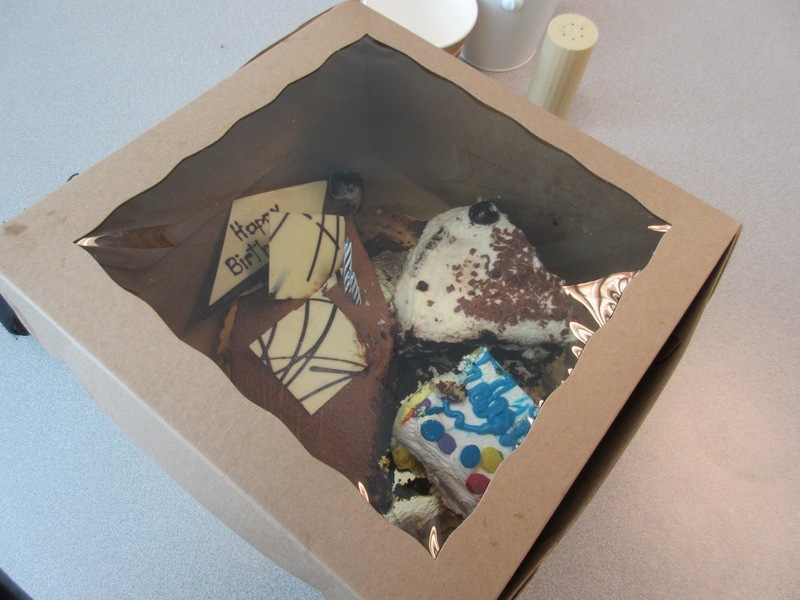 That is what we had today for our student cake month treat. You can't really argue with B&J. Just about every ice cream test will show them to be the best. 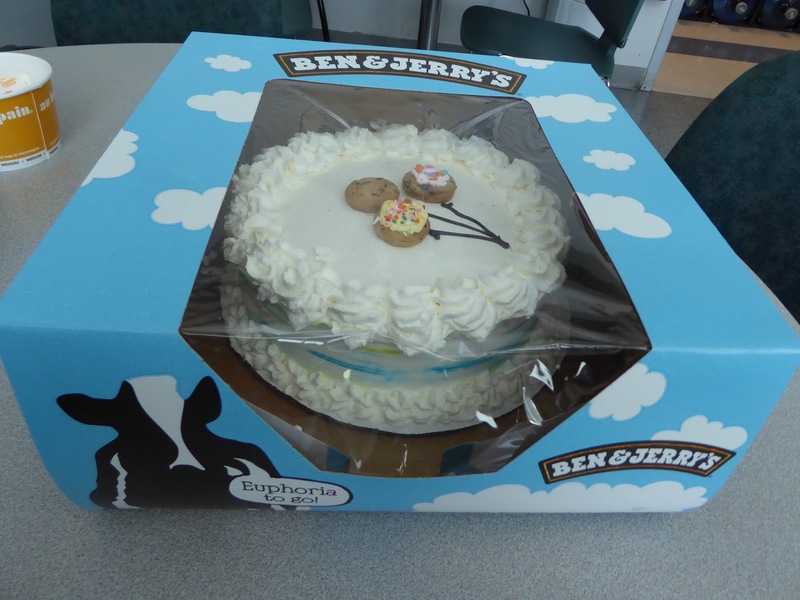 First Ben and Jerry's cake of 2015! 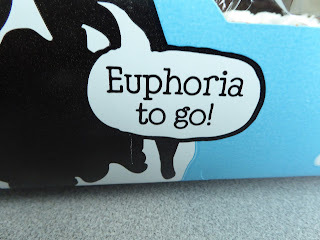 ........I brought Euphoria though I don't look euphoric! 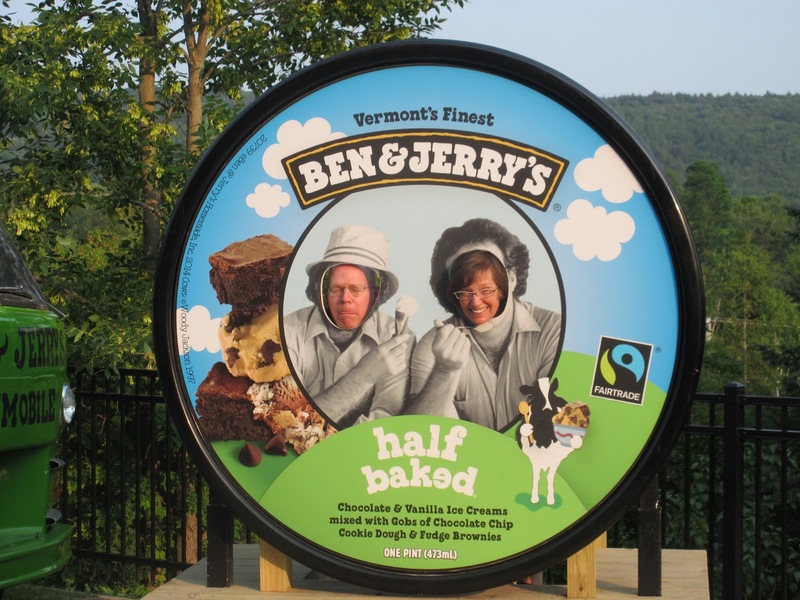 Recently we had the opportunity to visit the factory in Waterbury, Vermont and took the tour. We showed up and faced a 45 minute wait. Since they give tours until 8pm and we were in no hurry, we left and decided to return in the early evening. At that time we walked right in to the next tour. The tour was adequate. On the day of our tour, there was no production so the factory floor, which is only seen from a mezzanine viewing area, was quiet. After seeing a short video of the history of the company, you are led to the mezzanine and they go through the step by step process with numbers for each of the steps located by the referred to piece of machinery. The height of the tour is the free ice cream sample at the end which was a decent portion. After the sample you leave the tour via the gift shop. Outside there are a number of other dis-er attractions including and ice cream shop where you can pay for more, a place to tie-dye a shirt and an opportunity to be photographed as Ben and Jerry. You too can be B&J! The graveyard of discontinued flavors was fun even though we had not heard of many of them. On the whole it is kind of worth the trip but definitely go late to avoid the crowds. We had one over-active child on the tour. Can you imagine what it would be like with a lot!! Two types of ice cream ans frozen whipped cream. The cake itself today was what was to be expected. The ice cream was good. Strawberry cheesecake or similar was on the bottom and cookies and cream was the top layer. 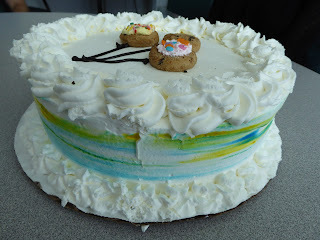 The frosting layer was whipped cream. We did not allow the cake any time outside the freezer which is something that should be done to defrost the whipped cream. 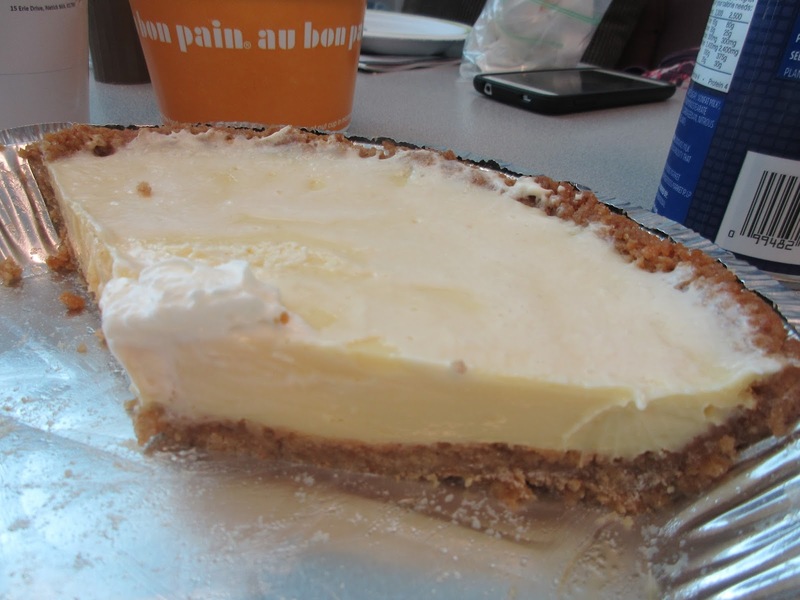 Without softening the whipped cream tastes like frozen fat which is what it is, of course. 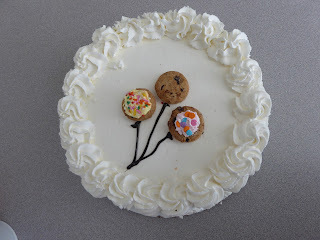 The little cookies on the top made to look like balloons were a hit. The cookies on top were especially appreciated. 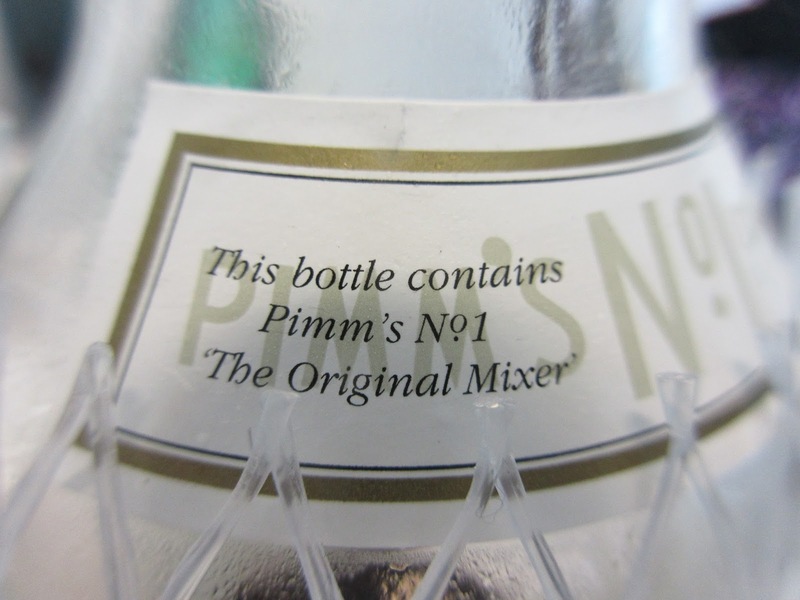 Years ago when working as a bartender, there was always a bottle of Pimms's Number One cup on the bar. On the top shelf no less!. During the entire four year bartending career the amount of Pimm's in the bottle never went down. If any was imbibed at all it was probably the bar staff giving it a try. We wondered what was it even there for and what was it about. Not seen since the bartending days! 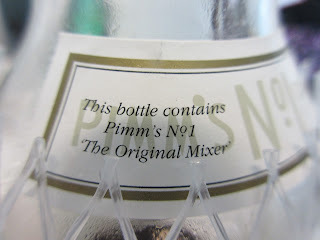 The recipe for Pimm's is a secret! Today we found out!! 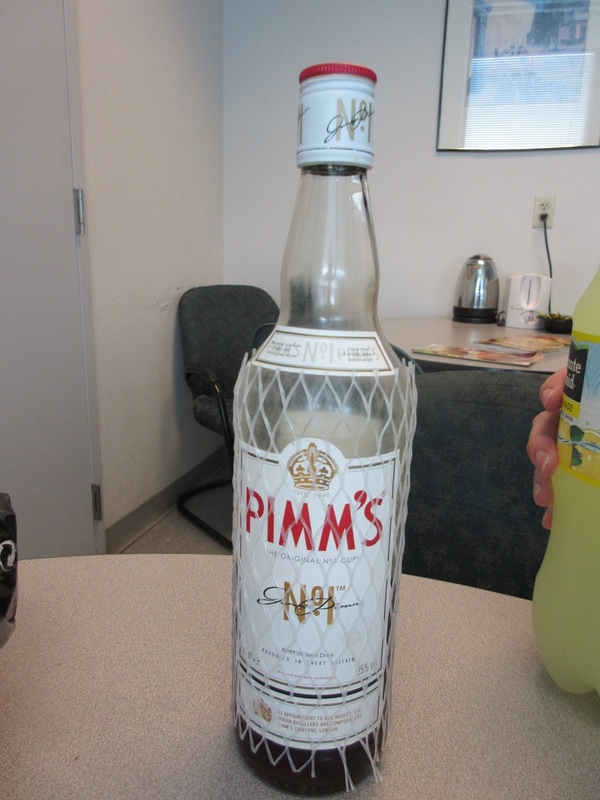 It being summer, one of our colleagues returned from across the pond and Merry Old England with a bottle of Pimm's. She proceeded to make a type of punch that is apparently the appropriate and common way that Pimm's is consumed. It turns out even that the recipe is on the bottle and is recommended as the way to drink Pimm's. How many alcoholic beverages are there that suggest they be mixed with something else? This may be the only one! Clearly you are supposed to mix it with something. The punch consisted of a certain amount of Pimm's with a larger amount of European style lemonade. This is basically a carbonated soft drink similar to Sprite with no lime. (Did you know Sprite was lemon-lime flavor?) Our hostess didn't want to use Sprite so she mixed it with Minute Maid's version of lemonade. This tasted like lemonade all right but was missing the fizz. We just couldn't have it all! 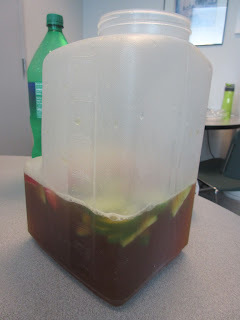 In addition to the lemonade, strawberries, cucumbers, oranges and mint. 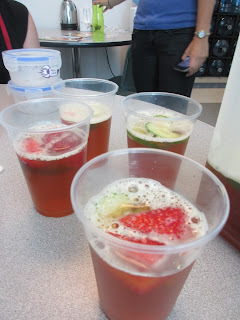 She forgot the oranges and the mint so we had the strawberries and cucumbers. 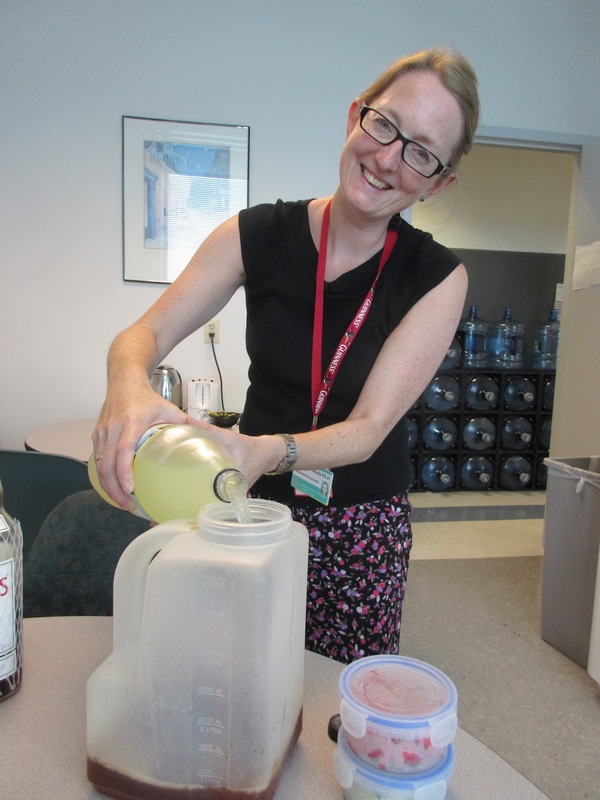 Giving it the best shot with ersatz lemonade! Garnished with some cukes and strawberries...minus the mint and the orange. This was enjoyable and refreshing for the summer. Apparently it is the drink at polo matches and Wimbledon so we felt vedy, vedy proper whilst quaffing this. We also used it to wash down some extra cake from Friday. 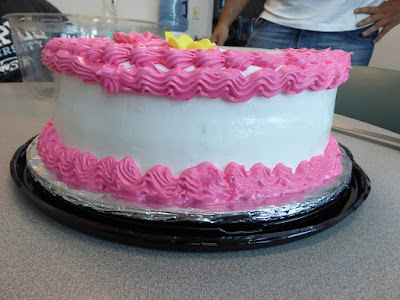 This had nothing to do with student cake month so no ratings just another unique cake hour treat!! Great to wash this down...leftover from Friday!! Our latest entry for student cake month was a redo of last year. Opting not to bake something, she instead chose to make a splash by buying a REALLY BIG cake. 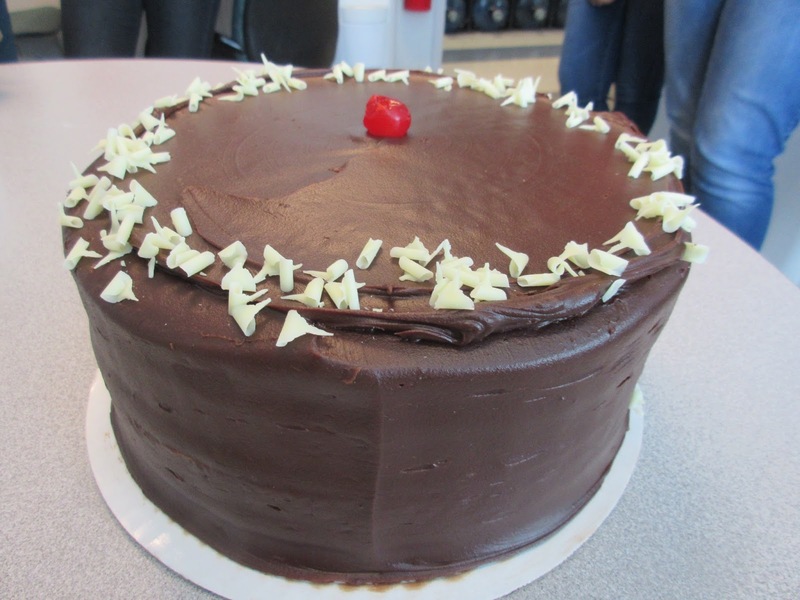 One year ago it was gigantic chocolate cake - chocolate cake, chocolate filling and frosting and chocolate chips just about everywhere. 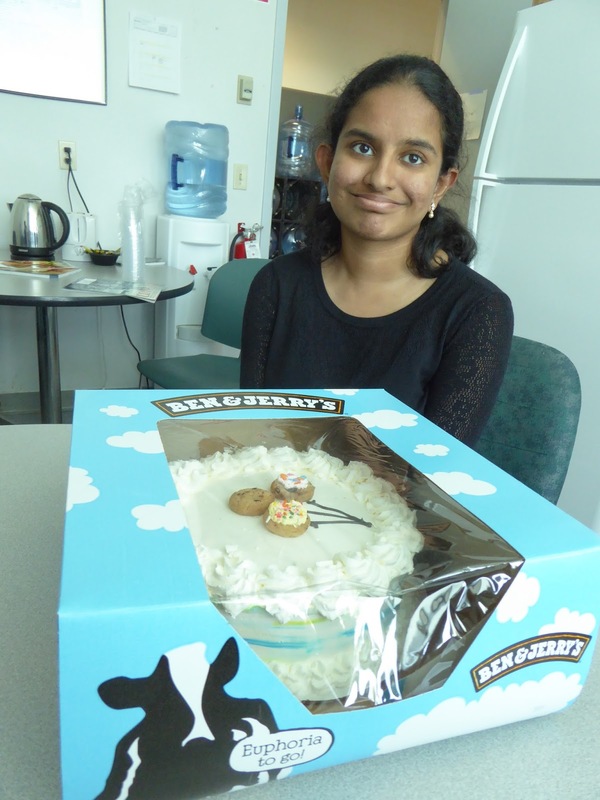 For her student cake month entry this year she returned to the same scene of the crime, as it were. Off to Gregg's Bakery, never known for anything small, and back she came with another monster that appeared to be another massive chocolate concoction. Once again I'm thinking big! It's a little basic looking but nicely done. But it wasn't..it was a massive chocolate covered concoction. 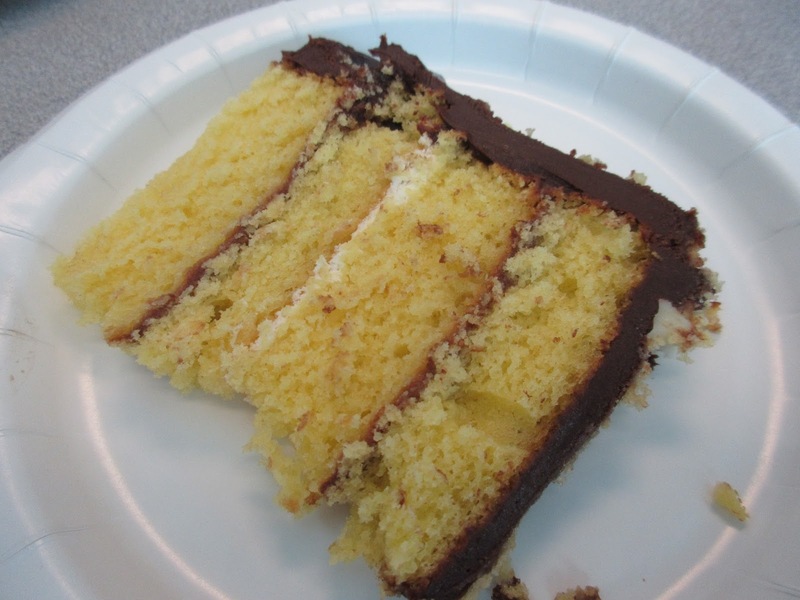 This was Gregg's version of a vanilla/white cake with chocolate frosting. 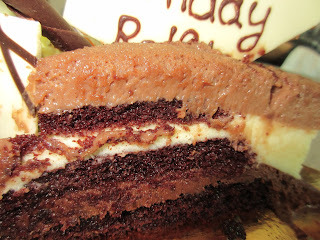 It was four layers of cake with thin alternating choco and white filling between the layers. 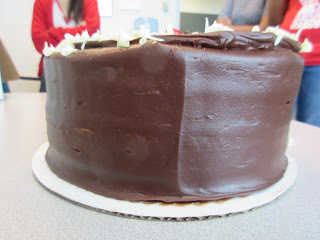 There was an appropriate amount of butter cream chocolate frosting smoothly slathered on the top and sides. There were shavings of white chocolate for decoration and a maraschino cherry smack dab in the middle...one cherry! Could you spare the cherry? It was not the most elegant cake we have ever seen but you can always be sure that anything from Gregg's will be fresh. The cake is fittingly tasty and moist and the frosting plentiful but not overwhelming. We did not finish this in one setting so we have something to look forward to tomorrow. 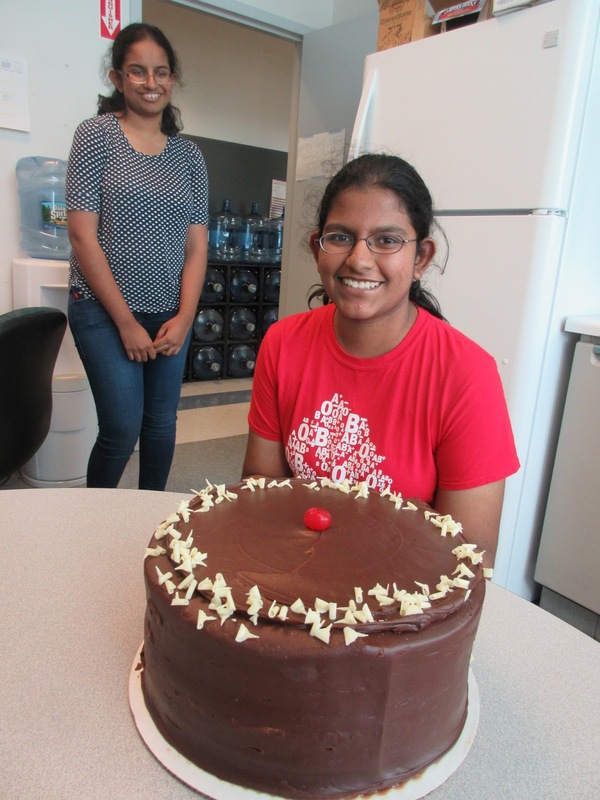 Our cake student gets 3.5 starts for her much appreciated contribution. 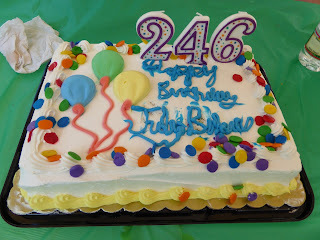 This year there were birthday cakes aplenty when one of us had a recent birthday. 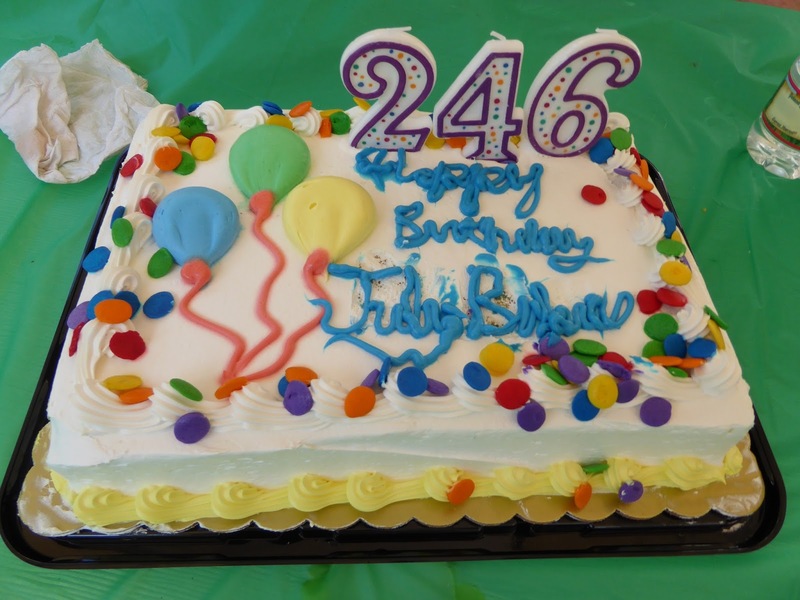 At a party for all the family members with July birthdays - about 6 of them - there was a cake for everybody which meant for a lot of cakes. We have remnants of two of them today. In addition, while doing a little on call work, coworkers had a little birthday celebration with a lovely cake from a Boston dessert place. Since there were not enough people to finish that cake we also had those leftovers today. 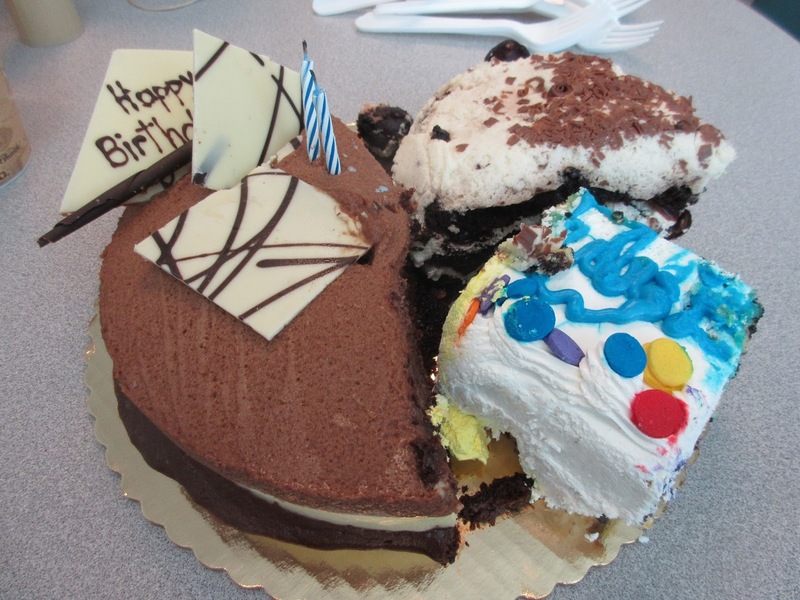 It's a trio birthday cakes!! One of the cakes was a standard commercially bought American birthday sheet cake. 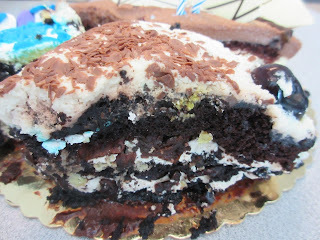 Typical butter or shortening frosting, very colorful with candy confetti decoreations, with a chocolate swirl cake. This one was not the popular one, however. This is how much we got! We also had a homemade, made from scratch Black Forest Cake! 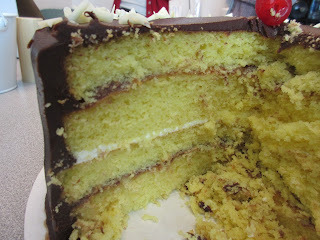 A relative couldn't find a bakery to make one so took it upon herself to find a recipe and give it a shot. 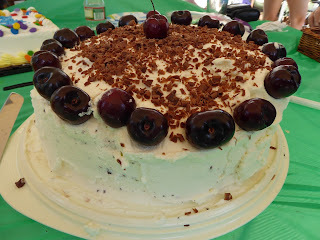 The recipe was a good one as this had the requisite chocolate cake with cherries soaked in kirsch and of course the whipped cream frosting. 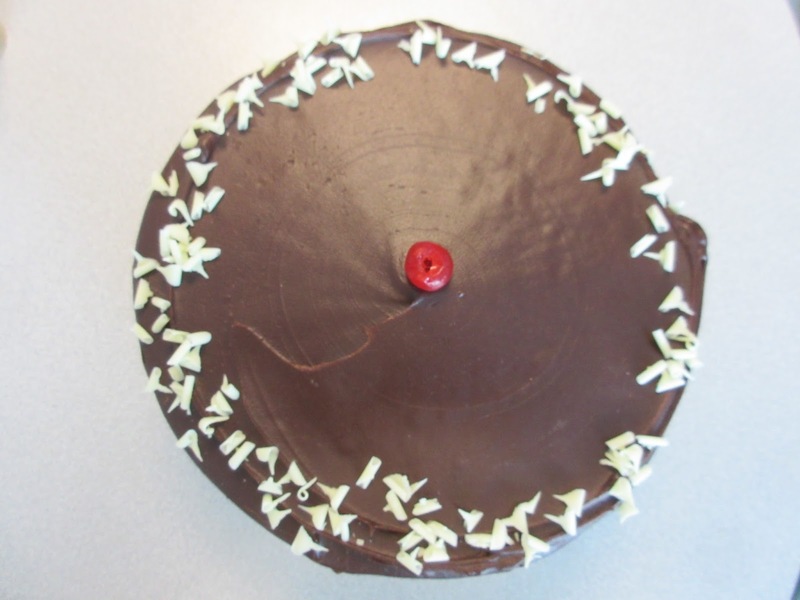 Decorated on the outside with fresh cherries and shaved chocolate, it tasted great and was the real McCoy. If this first try so was so successful we can't wait for the next few. This is the piece that we got! Nice cross section shows that it was the real thing. 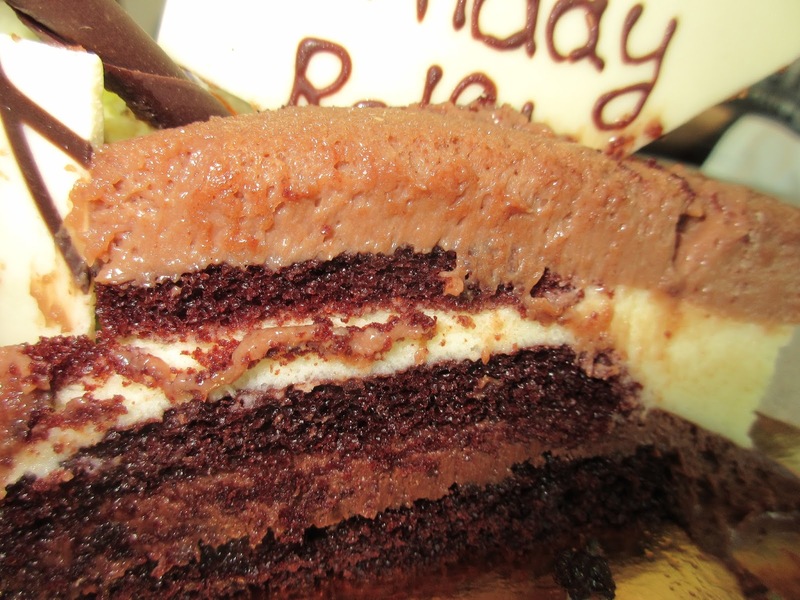 The third cake was a Choco Symphony - triple chocolate mousse cake from Finale in Boston. 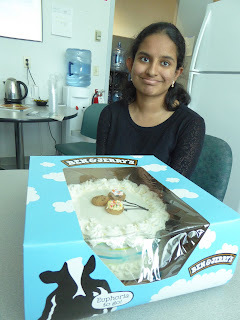 The cake was quite good. 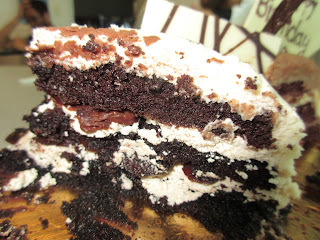 It had thin layers of buttermilk chocolate cake with three different mousses in between - dark chocolate on the bottom, white chocolate in the middle and milk chocolate on the top. It was garnished with white chocolate shard on top and a thin straw of dark chocolate. Finale is known for their desserts and this was memorable for sure. Thanks to the birthday boy for sharing the wealth!! The one on the left is the Choco Syphony! It came with a message! Three types of mousse.....great cake from Finale for the finale! Maybe they are chicken cookies? We had a break from our July student cake today. At first it appeared cake hour would be dry but then we got a treat brought back from a recent visit to China. 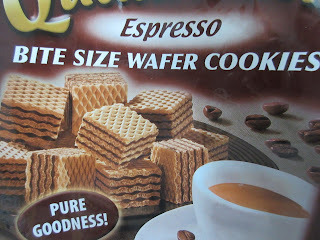 Our friend gave us a box of cookies unique in that there was no English translation of anything on the package. This left us to our imagination as to what we were getting. Treat from China with no translation not necessarily intended for export! Herb cookies or just creative license? More packaging but what's insiide? To a certain extent Chinese products emulate the Japanese in that there is sometimes more packaging than necessary. 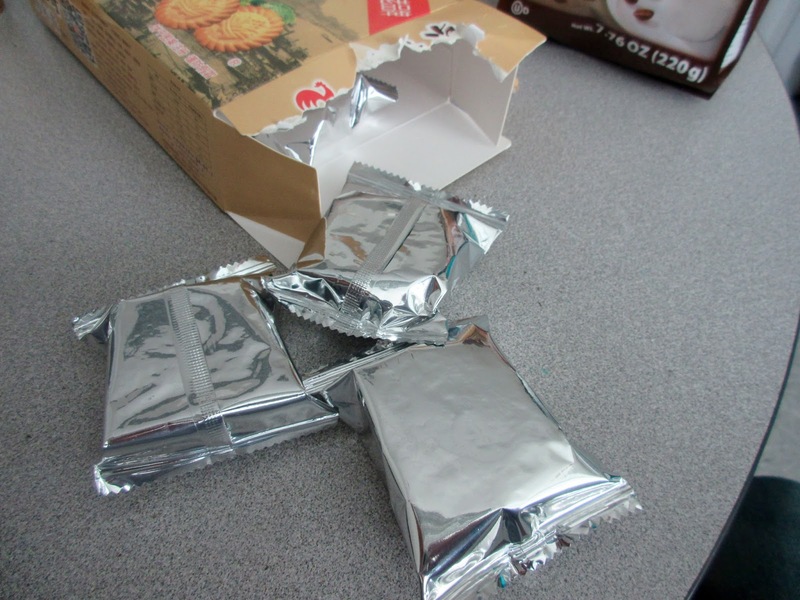 Upon opening the box we found that there were multiple smaller packages containing the goods. But that was all. 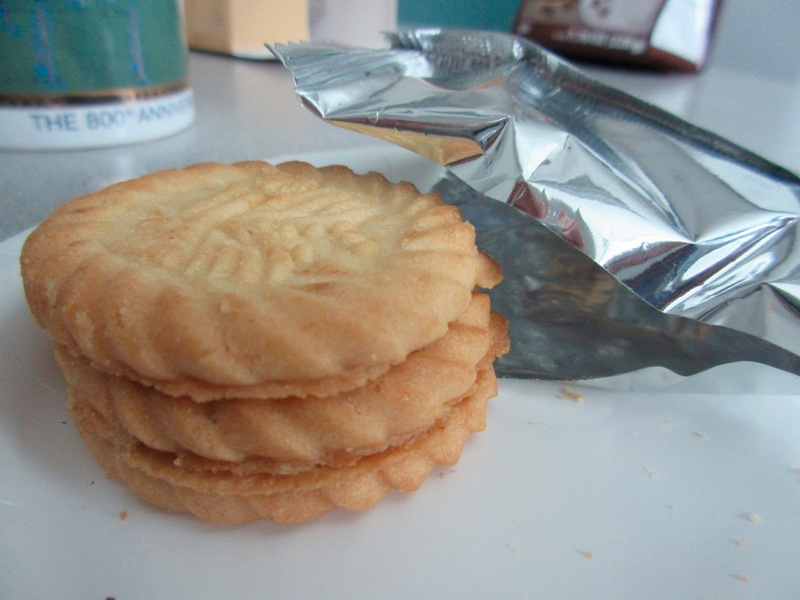 The cookies were not individually wrapped inside the packages as they could have been. However, the first package we opened spilled forth some broken cookies. Maybe this is not the best packaging scheme after all! Most of the remaining packets were fine and had a stack of three pieces. The first one was little busted up! 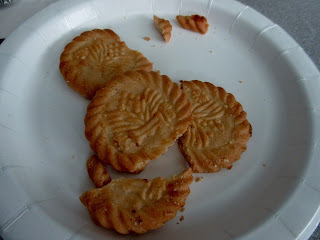 Theses were a Chinese shortbread they tasted buttery and not too sweet. There was even a hint of a salty taste. They were good and we were happy to have them. We got into a discussion about what they really were based upon what we saw on the box. 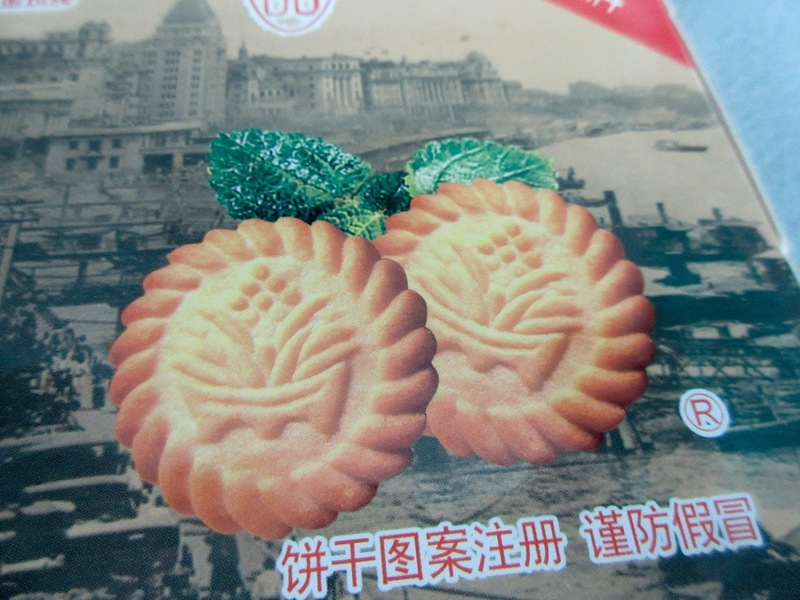 For instance, the cookies are shown on the box with some green leaves behind them. Does that mean they are made with herbs of is it just a garnish? Then we noticed the rooster on the box. 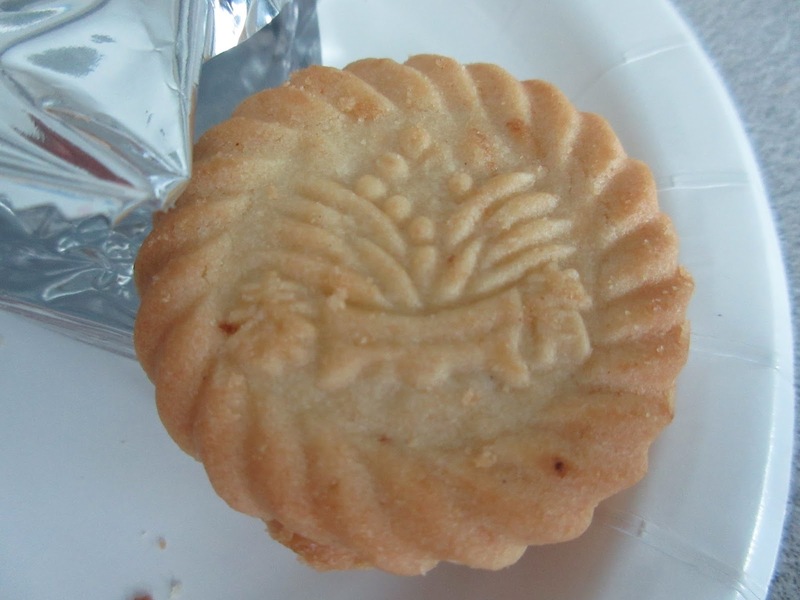 Was that a logo or maybe they are chicken cookies, we questioned. Probably not but that would explain that slightly salty taste! 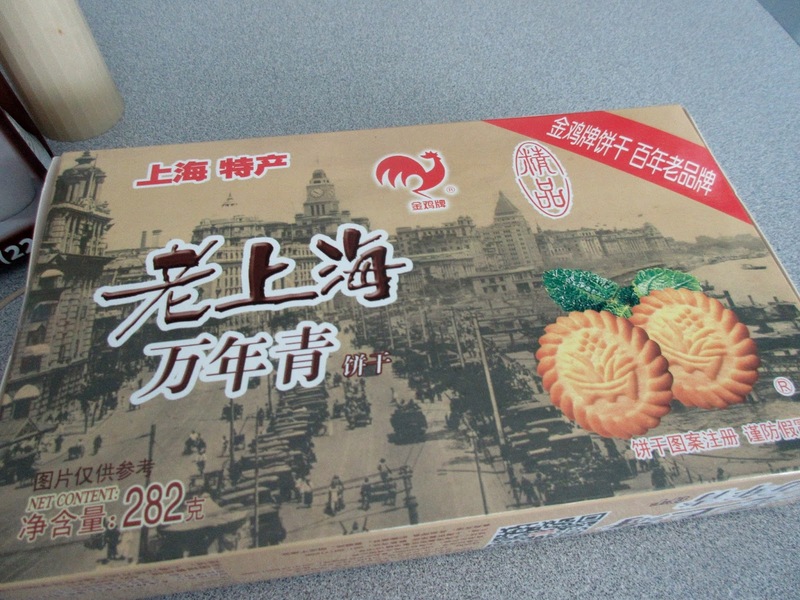 What is the reason for the salty taste and the rooster on the box? 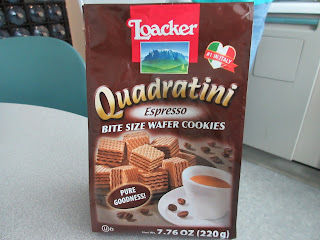 As backup we also had some Quadratinis to finish off...for those who didn't want chicken cookies. And they are PURE GOODNESS!! 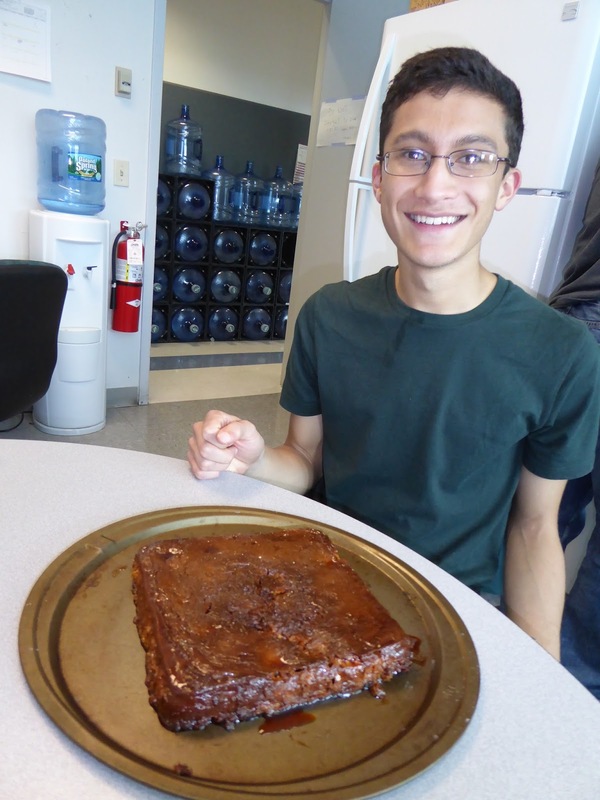 Our second entry for student cake month decided to go with a flan. He had made one before and was trying again. He was not that happy with the result. He felt it was a little overdone and had flattened out too much. Also he did not think the sugar had caramelized correctly and tasted a little burnt. Giving it a second shot! 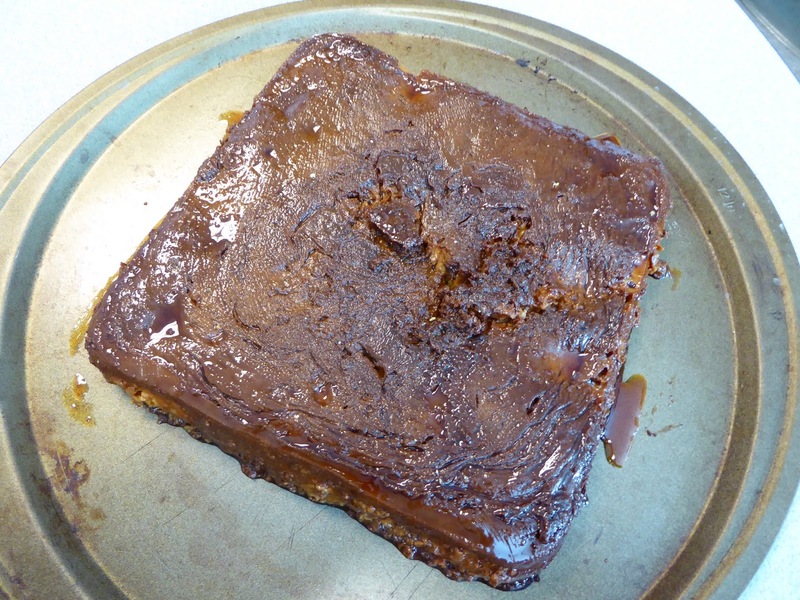 There might could have been a little more or the caramel sauce. 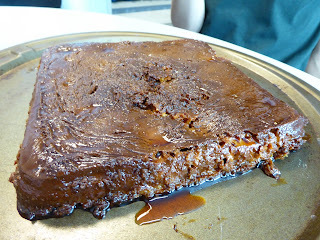 Most of the sugar caramelized into the flan. 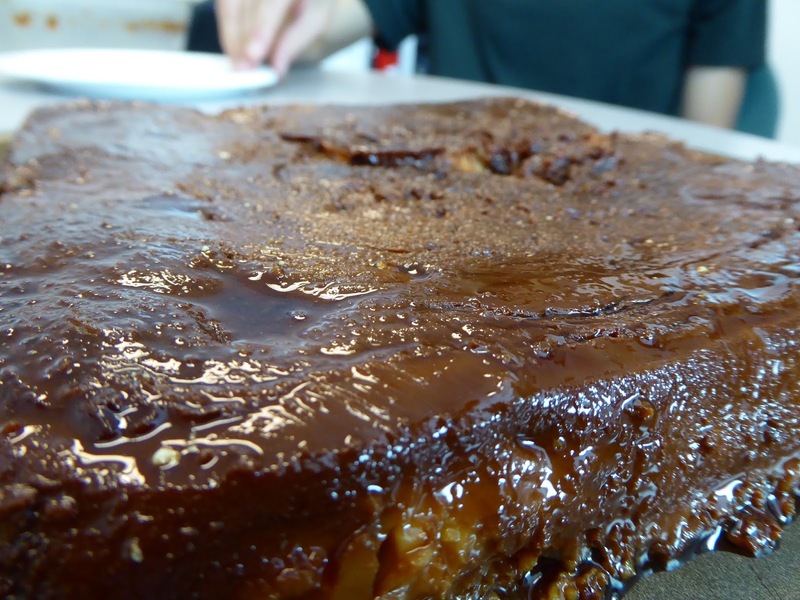 Throw in some salt and it's salted caramel flan!! These issues didn't matter much to the rest of us. We have had several flans and this one was very similar to all the others. Some were flat. Some were too sweet. Some tasted a little bitter. And some were very creative featuring fruit and sprigs of rosemary. So we were fine with this and think our guy did a good job. 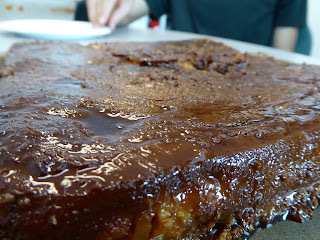 It had a good texture, was not too sweet and the bitterness of the caramel was subtle and acceptable. If he had thrown some salt on it and called it salted caramel it would have been a rave. Inside it's the usual custard! We will however leave the final word to our self-appointed resident flan expert who clearly has insights beyond our capabilities. After trying it she exclaimed: "This tastes Dominican!" And we will leave it at that! 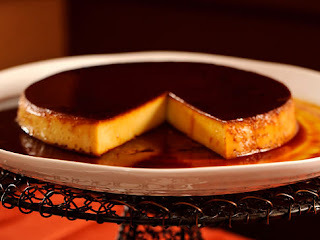 Domincan flan - does it look that much different?